Whether you are in the process of divorcing, were previously divorced, or are an unmarried parent, having a child with someone with whom you no longer have a romantic relationship can present a number of challenges, one of which involves child support. In New Jersey, both parents are legally responsible for providing some financial support to their children, regardless of their relationship status. Many times, the amount of child support to be provided by each parent becomes a source of conflict. Although the New Jersey Child Support Guidelines dictate a specific set of calculations that must be used to arrive at child support determinations, an experienced New Jersey family law attorney is often necessary to ensure that child support is calculated using all relevant factors, and that each parent lives up to his or her child support responsibility. To read more of our client reviews, visit our Client Reviews Page or check out Rosa’s individual profile on Avvo.com. 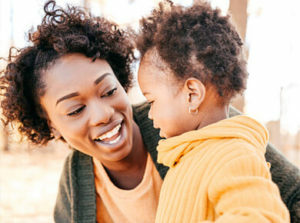 If you are dealing with a child support matter during or after divorce, you need assistance with child support enforcement, or you have questions regarding child support modifications, feel free to contact our offices in Hackensack at 201.968.5700 to schedule a consultation with a New Jersey child support lawyer. New Jersey’s Child Support Guidelines, outlined in Court Rule 5:6A and Appendix IX, were formulated based on the following philosophical principles: (1) child support is a continuous duty of both parents; (2) children are entitled to share in the current income of both parents; and (3) children should not be the economic victims of divorce or out-of-wedlock birth. With this in mind, the Child Support Guidelines abide by an “Income Shares Model,” which essentially means that New Jersey courts should account for the fact that in intact families, both parent’s incomes contribute to the household expenses and costs of childcare. In other words, children are entitled to some financial support from both parents. Certain other variable expenses may be applicable to a specific child support situation, such as: child-care expenses, health insurance for the child, tuition for private elementary or secondary education, special needs of gifted or disabled children, and visitation transportation expenses. As for the duration of child support in New Jersey, the law changed in February of 2017 and child support is now automatically terminated when the child turns 19, provided that no special application has been made to the court to extend child support payments. If you are in need of assistance with a child support matter in New Jersey, Rosa Rickett is a divorce and family law attorney who helps clients like you every day. Our legal team will listen to thoroughly understand your specific situation and work diligently to achieve a successful resolution for you and your children. Contact our offices in Hackensack at 201.968.5700. for additional information. We represent clients in Bergen County, Passaic County, Essex County, Morris County, and throughout New Jersey. You can also access the New Jersey Child Support Handbook for additional information.